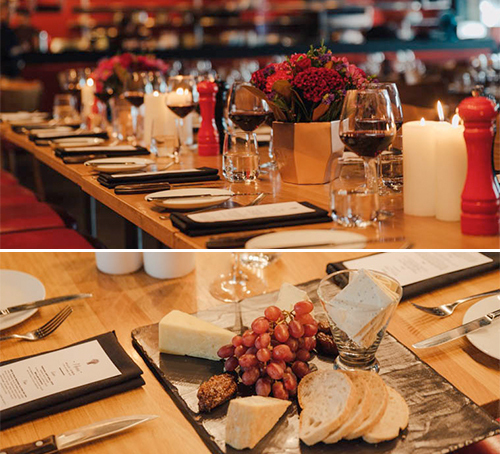 I’m Angus Steakhouse pairs the finest Australian beef with superb international wines and world-class views over Darling Harbour, all in a setting befitting of one of the city’s most awarded steakhouses. The visually striking open chargrill at I’m Angus adds an impressive touch to any event and showcases the creative flair of the restaurant’s chefs. Combining the warmth of a steakhouse that fuses contemporary style with traditional comforts, I’m Angus has key features incorporated into its design to make planning a function of any size a seamless affair. Spacious yet intimate, I’m Angus can offer specially tailored menus and beverage packages to suit almost any budget and range of dietary requirements.